Change and update information for your patients. Select Edit Profile from the patient's Profile page. In the Edit Profile tab, you can keep track of the patient's information in Profile, including their Medicare number and effective dates for future reference. Update the patient's plan in Current Plan, and their medicaid info or extra help in Subsidy. Amplicare can detect a patient's Current Plan using Machine learning technology, but make sure to click Confirm Plan when you're sure we've detected the plan correctly. Select Choose Plan to manually enter the patient's plan. In Subsidy, you can select or confirm the patient's subsidy level. 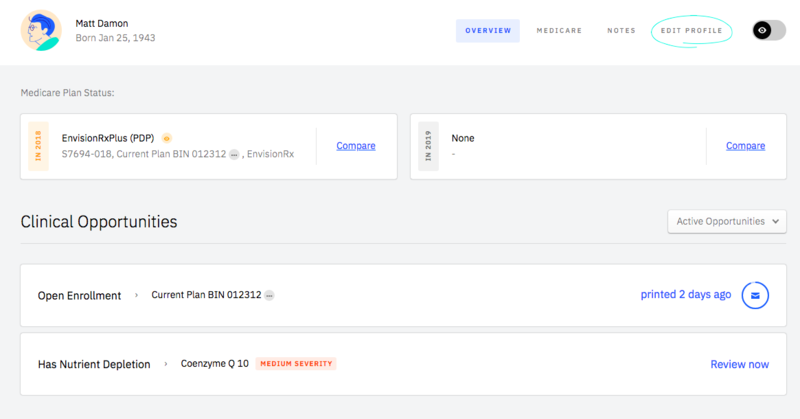 We can detect a patient's subsidy most of the time with our machine learning technology, so make sure to select Confirm Subsidy when the detection is correct, or select a subsidy option from the list. 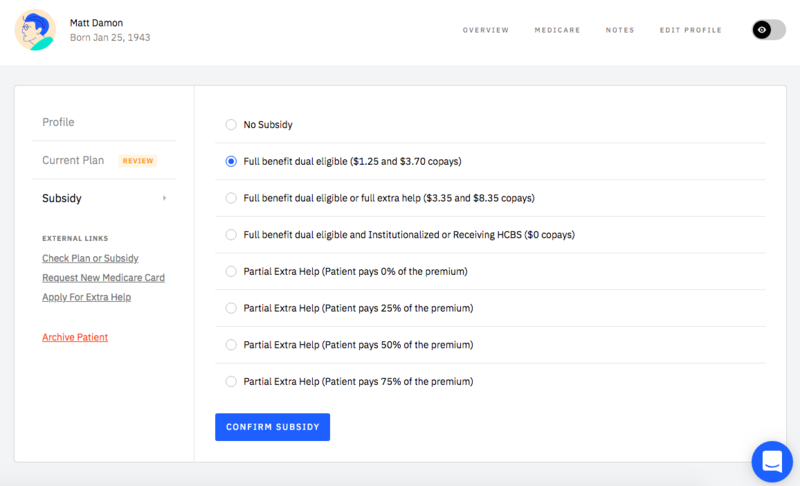 You can click the Check Plan or Subsidy link to the left of the options to quickly check your patient's current plan and subsidy. You'll need the patient's Medicare (Red, White and Blue) card. On the left, you'll also see links for your patient to get a new medicare card or apply for an extra help subsidy. If you're looking to add a brand new patient, check out this page!